Climate change has been reducing the average amount of ice and snow cover on the Great Lakes. For fish species like ciscoes, this could end up being a problem. 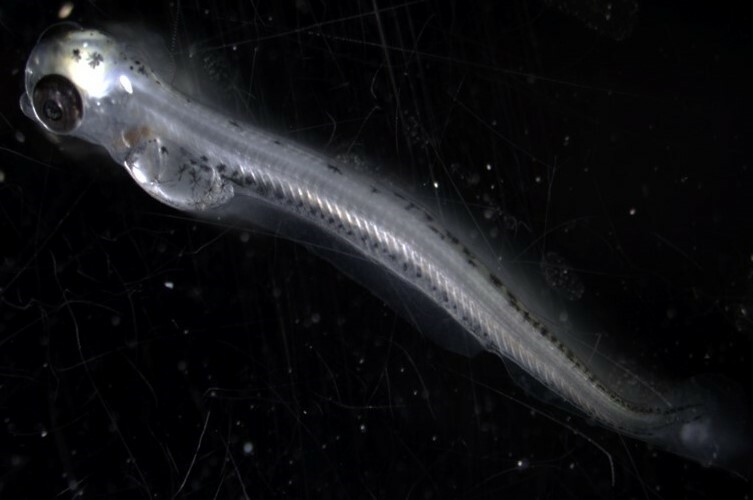 Researchers at the University of Vermont are studying if more light, because of less ice cover, could have an impact on fish egg development and survival after hatching. Ciscoes typically spawn in late November in the shallow waters of the Great Lakes. Their eggs incubate during the winter under ice and hatch the following April or May as the ice melts, said Hannah Lachance, aquatic ecology and watershed science graduate student at the University of Vermont. Ciscoes play an important role in the Great Lakes ecosystem. They’re a vital preyfish species to important predators such as lake trout, and they and their eggs (as caviar) are eaten by people. They also face pressures from invasive species – round goby eat their eggs, rainbow smelt eat their larvae, and sea lamprey will latch onto the adults. All the while, other invasive fish like alewives eat their food. Historically, the months where ice covers the Great Lakes leads to more darkness in the waters beneath; as snow on top adds another layer of darkness. 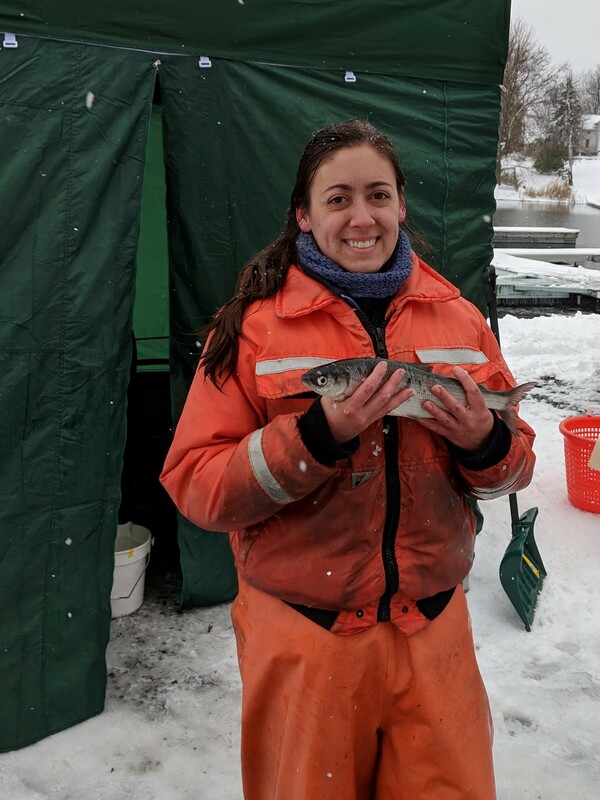 Lachance, along with fellow grad student Taylor Stewart, were interested in doing a pilot study on the impact of light on cisco egg and larval mortality, as reduced ice cover and snow would lead to more light filtering down to the eggs. 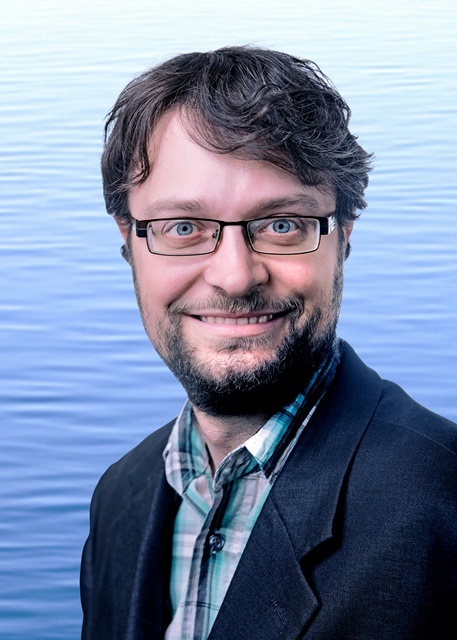 Previous studies have suggested that light plays a role in the development and adult behavior of many fish species, but Lachance said the influence of light on fish eggs had not been well-studied – hence the need for the pilot project to see if it was worth looking into further. They presented their initial findings at the 2018 International Association of Great Lakes Research conference, held in Toronto. They collected eggs from Lake Ontario and split them into three groups: one was exposed to light 24 hours a day, another was in darkness 24 hours a day, and the third saw light and darkness at different times of day, emulating the natural day-night cycle. 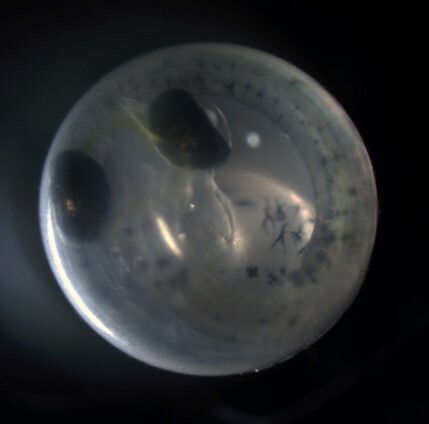 Lachance said they found that egg mortality was identical for all three groups – between 23-27 percent from the time they were collected until they hatched – but there were notable differences in mortality during the ciscoes’ larval stage. In the lakes, the eggs wouldn’t be exposed to a full, 24 hour period of light, but Lachance and Stewart were curious if light had any impact on survival, since little research had been done on this particular environmental factor. Inspecting the newly hatched fish, they noticed that the yolk sac was smaller in young ciscoes that had been exposed to the 24 hours of light; newly hatched larvae continue to live off that yolk sac for the first few weeks while they learn to find their own food. Lachance said she’s still sifting through the genetic data collected from the larval ciscoes, but what she’s found so far suggests that the presence of light affected how the genes controlling metabolism are expressed, effectively causing the ciscoes to burn through more of the yolk sac early and leaving them with too little later. Light is only one part of the story, though, as studies have found other stressors for ciscoes from climate change. Warming waters also change the ideal range for fish within the lakes, including ciscoes. As a fish that prefers cooler waters, ciscoes are sensitive to rising temperatures, and could face shrinking habitat as time goes on. These rising temperatures could also lead to less dissolved oxygen in the summer months, shrinking habitable ranges further. Additionally, predatory species that prefer warmer waters, such as black bass, could see population increases, resulting in higher predation rates on species like cisco. Finally, invasive species such as quagga mussels have changed food webs in much of the Great Lakes basin, which in turn can hurt the ability of ciscoes and their fellow preyfish to find food. Lachance said ciscoes might adapt to less ice cover and more light by spawning in deeper, darker waters, adding that more research will be needed to understand what the fish face in coming decades.